Kanata Nordic members who are between 4 and 13 years old can enroll in the Bunnyrabbit, Jackrabbit and Dynarabbit programs. These on-snow learn-to-ski programs run on Saturday afternoons at Wesley Clover Parks for 10 weeks starting in January. Some special drylands activities for program participants are available in the fall. The purpose of the Bunnyrabbit program is to introduce cross-country skiing through organized activity, games, and play on skis. It is very important for our new skiers to have fun while they are learning! The objectives for these young skiers are to master the more basic ski skills including falling/rising, side-stepping, herringbone and ski walking. Children in the Bunnyrabbit program ski without poles. Each child must have a parent with the group, so adults, be prepared to have fun with your children! This year we are offering Bunnyrabbit lessons on both Saturday and Sunday. The Jackrabbit program encourages young skiers to continue their skills development, gradually involving more advanced techniques. The emphasis is still to have fun while learning, with lots of games incorporated into the lessons. Children will learn techniques in both classic and skating as they progress through the four levels. Participants are given a personal booklet to track their progress each season. Sticker awards are given for technique and program achievements. Parents are encouraged to participate alongside their Jackrabbits. There are four levels in the Jackrabbit program, starting with Level 1, which follows after the Bunnyrabbit program. Generally children achieve a level in one season, although Level 3 and more so Level 4 can take multiple seasons to master. Participants will gradually develop skills in both the classic and skate skiing techniques with the aim of acquiring competence and confidence for virtually any cross-country ski outing and condition. Skiers are placed into levels according to their age, ability, and previous ski experience. Part of the Jackrabbit program, Dynarabbits is intended for children starting to ski at an older age. This is a great entry point for new skiers ages 9 through 13 years who would feel out of place with the younger beginners in Bunnyrabbits or early Jackrabbit levels. The objective for this program is to give these older new skiers an introduction to skiing in both techniques, so that they can leapfrog into the level of their peers within a season or two. It can be expensive to have two sets of equipment, and everything is different for skating versus classic: skis, boots, bindings, and poles. So for skiers just starting to skate the key one is the boots. You need ankle-high ones with a stiff cuff. There are combi boots which work for both techniques — stiff enough for skate but flexible enough at the toe to do classic. If you only buy one pair of boots we recommend you look for combi boots. Ski swaps are the best place for a really good deal on used equipment. They usually happen in October and November. Plus you can resell old equipment there and get back some of your original purchase price. Another thing to note is that when skate skiing you don’t use grip wax on your ski base. With waxable skis you just remove whatever is there (and if you’re keen you can put on glide wax). With no-wax skis you can still skate but it’ll be slower because of the large grip area. 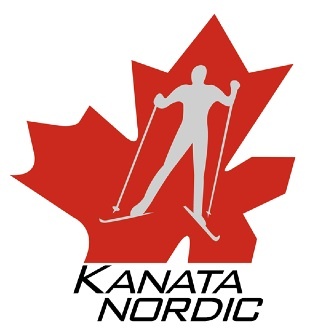 All Kanata Nordic programs are volunteer driven and depend on volunteer coordinators and coaches to be able to run. Club subsidized training for volunteers is available, including as ski leaders and in first aid. This is a great opportunity to build your cross-country skills and share your passion for cross-country skiing with others. For more information on Children’s Programs contact Jackrabbit Coordinator, jackrabbit@kanatanordic.ca. As much as we love to ski, there are some days when learn-to-ski lessons are not feasible due to weather conditions. Lesson cancellation will happen in the event of extreme weather or unsafe ski conditions (i.e. freezing rain / icy conditions). Lesson cancellations are determined by 10:30 am on Saturday mornings and be posted on the www.kanatanordic.ca website. In colder temperatures leaders adjust their lesson plans so skiers are not standing around and have more frequent breaks. As well, we respect parents decision to determine what is best for their child and in what conditions they should be skiing. Always make sure you and your children are dressed for the weather and are comfortable in the conditions. Refund Policy: Memberships fees are non-refundable. If you wish to withdraw from a program, we will refund the program fee less 20% retained to cover the club’s associated administration costs. To obtain a refund please contact registration@kanatanordic.ca by January 19, 2019. Please note that Kanata Nordic reserves the right to cancel any programs with insufficient registration or without volunteer leaders. In this case every effort will be made to find an equivalent program or a refund will be offered. Kanata Nordic programs are subject to the will of Mother Nature. We generally follow Cross Country Canada’s guidelines in terms of program cancellation. This means programs will be cancelled if conditions are unsafe or temperatures are below acceptable limits. We attempt to reschedule cancelled events but this is at the discretion of group leaders. The Club will attempt to give its members as much notice as possible for program changes caused by weather we thank you for your understanding.